Get to visit Maokong, a quaint and humble village sitting on the top of a mountain in Taipei! As a bonus, you’ll get a ticket to ride Taipei’s double-decker sightseeing bus at night! The moakong gondola experience was great! But the free sightseeing bus at night is not. We were aiming for the last trip but it led us to the wrong address (100 zhongzheng district, taipei, taiwan) in the voucher. Please put the right address next time. Our time and money is wasted. If you’re looking to enjoy the different view of the magnificent city of Taiwan, then book through Klook and avail of a ticket to ride the famous Maokong Gondola Crystal Cabin! Riding this cable car will take you on a filmic ride to the top of a mountain where the beautiful and peaceful village of Maokong sits. 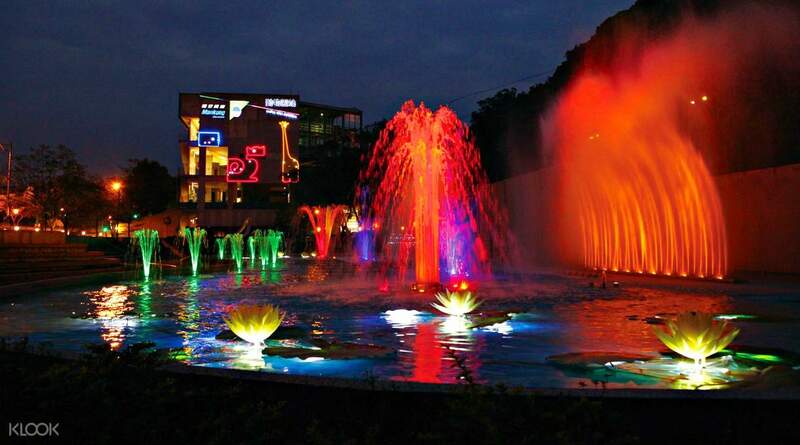 It’s a popular destination for tourists who want to unwind from the hustle and bustle of Taiwan’s capital. There are a lot of tea shops in the town and one of the best things you can do is to purchase whichever flavor of heartwarming, soul-soothing tea you want and take in the jaw-dropping views of the city from a breathtaking vantage point. Even on your way to the village, you’ll have a great time marveling at Taiwan’s natural wonders. The gondolas have glass-bottoms, so you’ll be granted a bird’s eye view of the landscape below you as you make your way to the mountain’s summit! To make this ticket an even sweeter deal than it already is, a ticket to ride a double-decker sightseeing bus comes as a bonus! After roaming around Maokong and getting panoramic glimpses of the city, you can hop on the bus and watch the urban jungle come to life at night as you see its buildings and iconic attractions get lit up by colorful lights. This is definitely a must for those who want to see Taipei from different angles and perspectives. Book through Klook and avail of a ticket to ride a gondola from Taipei Zoo Station to the village of Maokong! 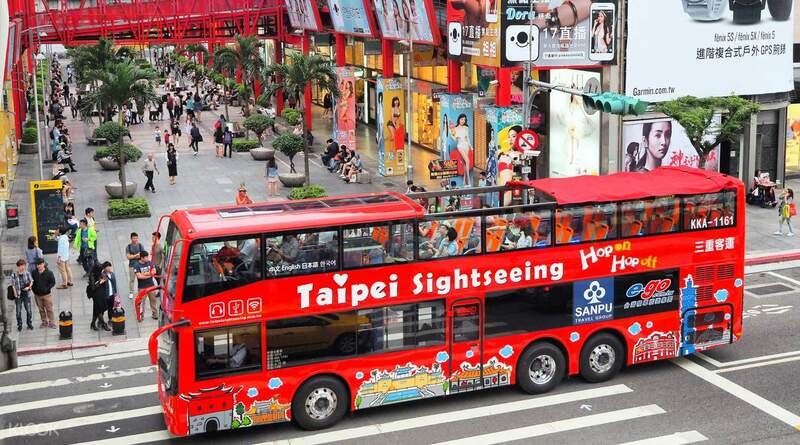 Hop on a double-decker sightseeing night bus and discover Taipei's most popular landmarks! The Maokong Gondola ride took about half an hour one-way. You can get a a nice view of the trees beneath. If you're afraid of heights, this is probably not for you. But nevertheless, this is good even for children. The Maokong Gondola ride took about half an hour one-way. You can get a a nice view of the trees beneath. If you're afraid of heights, this is probably not for you. But nevertheless, this is good even for children. 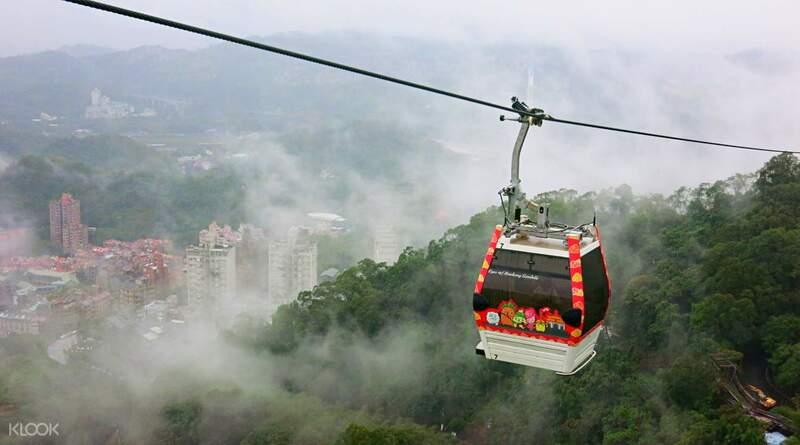 Riding in Maokong Gondola is a must try when you visit Taipei. The travel time from the first station (near taipei zoo mrt) to Maokong takes around 30min. which is very worth it. You will really enjoy the ride. While riding, you will see great views from the top, as well as the Taipei 101. We spent an hour in Maokong, Maolan Tea House to grab a snack, where we first saw a Cherry Blossom Tree. It was foggy and very cold when we got there. In case you go there, try their cheese cake. It really tastes good. Riding in Maokong Gondola is a must try when you visit Taipei. The travel time from the first station (near taipei zoo mrt) to Maokong takes around 30min. which is very worth it. You will really enjoy the ride. 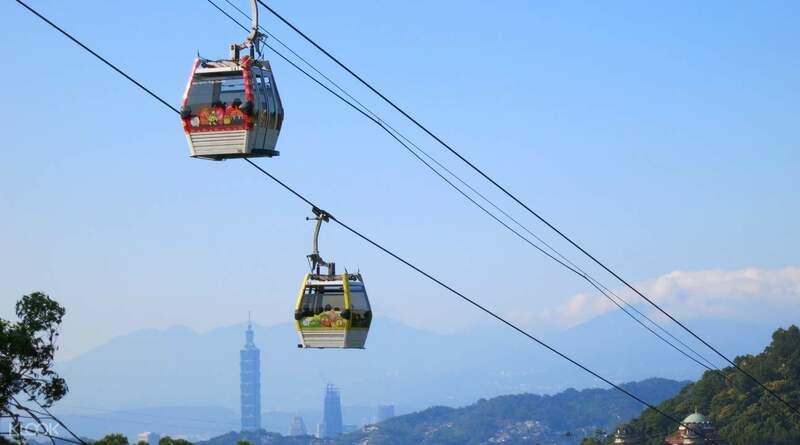 While riding, you will see great views from the top, as well as the Taipei 101. We spent an hour in Maokong, Maolan Tea House to grab a snack, where we first saw a Cherry Blossom Tree. It was foggy and very cold when we got there. In case you go there, try their cheese cake. It really tastes good. This is worth for the price you paid! We decided to ride the crystal cabin going to maokong. It was an amazing experience but going back to taipei zoo we just used regular cabin for a shorter line of waiting. Definitely going back here if we given a chance. This is worth for the price you paid! We decided to ride the crystal cabin going to maokong. It was an amazing experience but going back to taipei zoo we just used regular cabin for a shorter line of waiting. Definitely going back here if we given a chance. Its my second time riding this Gondola and never failed to amaze me. You can see the view of beautiful Taiwan up there above. A big thanks also to Klook for very affordable price of this cable car. Would def ride again in the future! Its my second time riding this Gondola and never failed to amaze me. You can see the view of beautiful Taiwan up there above. A big thanks also to Klook for very affordable price of this cable car. Would def ride again in the future! The Maokong Gondola is an enjoyable ride which lasts for around 50 mins on the whole trip. This has three stops and you can see the view of Taipei, either with sunset or night view. The start of the gondola ride is from Taipei Zoo station and ends in Maokong Station. In Maokong Station, there are lots of street foods that you can enjoy before heading back. The Maokong Gondola is an enjoyable ride which lasts for around 50 mins on the whole trip. This has three stops and you can see the view of Taipei, either with sunset or night view. The start of the gondola ride is from Taipei Zoo station and ends in Maokong Station. In Maokong Station, there are lots of street foods that you can enjoy before heading back. Long ride but terrific. Much longer than Ngong ping 360. Crystal cabins can be requested without additional charge but expect longer wait time. Village itself is ok- street food, beautiful smell of jasmine trees, some teahouses and temples. Wear comfortable shoes as lines and walking required. Stroller can be taken into the gondola. Long ride but terrific. Much longer than Ngong ping 360. Crystal cabins can be requested without additional charge but expect longer wait time. Village itself is ok- street food, beautiful smell of jasmine trees, some teahouses and temples. Wear comfortable shoes as lines and walking required. Stroller can be taken into the gondola.